Stainless steel is one of the most common and most recommended metal in cookware range. 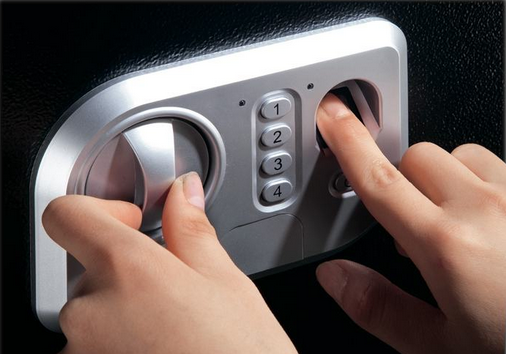 Stainless steel is known for its durability and resistance to stains. It is also known for its economical price and how efficiently it is able to retain its shine and color after years of use. This metal, however, also requires proper care. Below is some useful information on stainless steel care. How to select a stainless steel pan? The problem with stainless steel is that it is not always non-stick, unless it comes with an aluminum layer. To avoid food from sticking to a stainless steel pan or pot you can add a light layer of oil with a pinch of salt before you start cooking. This keeps your food from sticking to the surface of the pan. Food that contains content of calcium often leaves white spots on the pan. Water also contains minerals like calcium that leaves white spots on a stainless cookware. You can add 3 spoons of vinegar in a glass of water to clean it. It is common for food to dry if it stays in a pan/pot for a long time. Removing dried food chunks from stainless steel cookware can be an issue. To avoid that it is advised to simply use a sponge that is dipped in warm water with washing detergent. The dried food will come off easily. Discoloration of stainless steel cookware is common. To prevent your pan from discoloration you can use vinegar to wash it. Avoid keeping food in your cookware for a long time as food reaction is common in stainless steel. You can also use a combination of salt and vinegar for effective results. The only solution to this problem is to immediately dry the cleaned pan/pot. Water spots are common in every metal. 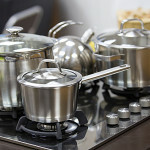 It is a misconception to find it only in stainless steel cookware. Also, avoid using a large amount of detergent as it requires using more water. Less water and less detergent can increase the durability of your cookware. 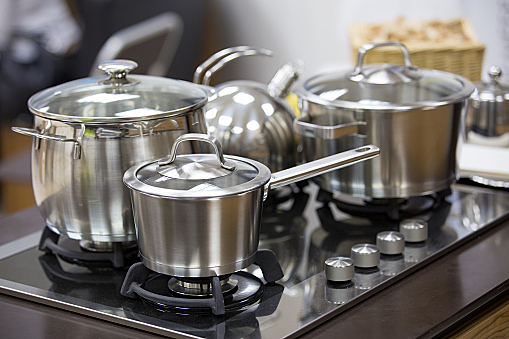 There are several things you need to consider before purchasing a stainless steel pot or pan. The first thing to consider is the amount of chromium used in the pan, which is typically 18%, the amount of nickel should be around 10%. The higher percentage of nickel used in the pan, better the cookware, in terms of quality as nickel increases the strength of steel. Always purchase a stainless steel pan that comes with an aluminum layer core that ensures proper heat conduction. This useful information on stainless steel will help you make the right purchasing decision.